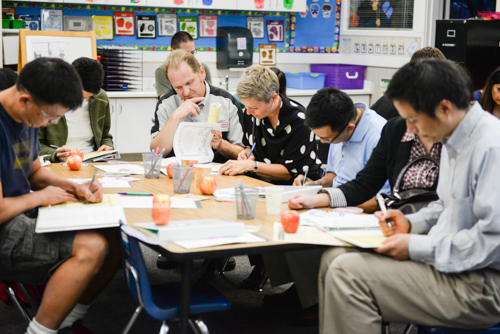 Excitement was in the air on Sept. 30 as kindergarten parents – representing Harker’s biggest community of new families – gathered for their first Back-to-School Night. The well-attended event got underway with teachers of special subjects and various support services hosting tables on the kindergarten patio. Parents enjoyed visiting the tables and mingling on the patio before moving to their child’s homeroom. Presentations from the language arts and math teachers rounded out the evening. Parents left the event armed with useful information about the exciting year ahead!